We had a full house with Adam, Julian, Martin, Rachel, Jeff, Kyle & Bryan all discussing the awesomeness of Mothra vs. Godzilla! 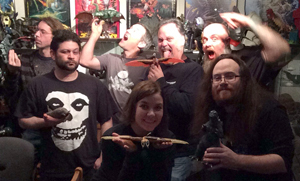 On this episode of the Kaijucast (#103), we get caught in between the King of the Monsters and the Queen of Infant Island, with a full house of discussioneers! 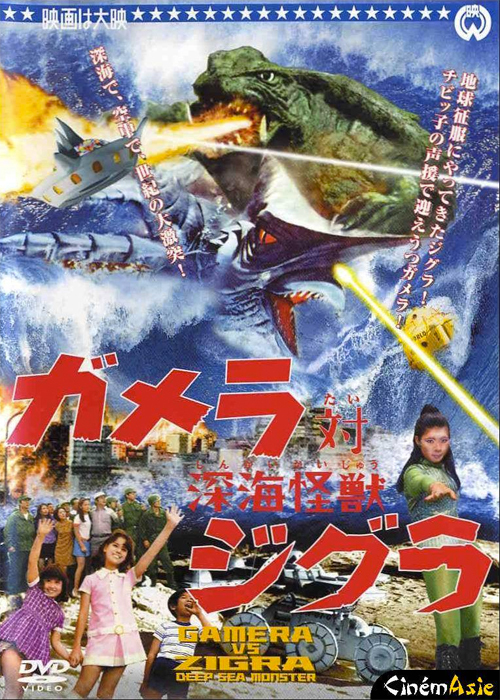 In addition to regulars Jeff, Martin, Rachel and Bryan, we were also joined by Julian and Adam to dissect this daikaiju delicacy, Mothra vs. Godzilla or (as it was released in the United States) Godzilla vs. The Thing. A true classic from the apex of Japanese cinema, this film ranks very high on many fans’ top ten lists and we received the numbers in homework to prove it. As a side note, and this is mentioned in the episode, one of the best sources for information about this film is Classic Media’s DVD commentary provided by Ed Godziszewski and Steve Ryfle – so if you have that DVD, you should definitely give that a listen. In addition to the discussion, there was a torrential storm of Godzilla and kaiju-related news both dealing with the new film from Legendary Pictures (go watch the trailer if you haven’t seen it) so make sure to check out the headlines below and bask in the glow of 2014’s kaiju-friendly times. New and old movies, DVD and BluRay releases, toys, bars, art shows and more are touched upon in this episode’s news segment. We’ve even got a kickstarter in there for you. Also, make sure that you head out to the events listed below as well! SUGGESTED READING: Look at the ridiculous amount of news here! *Make sure you come to our Kaiju Attack panel on Sunday the 30th at 12:40pm! 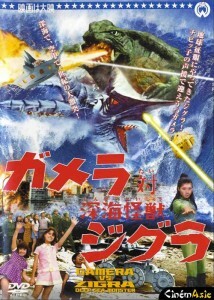 Our next Daikaiju Discussion will take a closer look at Gamera vs. Zigra from 1971. I’m not sure which version we’ll be watching, but I know there are several options including the Shout Factory DVD and even the MST3k version (not that I would suggest that one – even though I own it). The deadline for submitting your thoughts, questions and reviews is March 23rd.